Since my diagnosis in December, things have been strange. Strained and strange. It’s sort of a process not entirely unlike grieving. Maybe it is grief. I’m grieving for the loss of my life as I once knew it. The old me died that day and now I’m someone else now that’s lost focus, lost a piece of themself, a certain level of confidence and innocence. All gone. This strange new world is one of uncertainty, pain, fear, and loss of quiet personal space. I’m open and raw every other week when I go for chemo. Everyone knows my secret, knows all my greatest fears & doubts and brings the up into the forefront and I have to face it, move beyond it, live despite it. But living beyond it is not a choice. It’s necessary. As I’ve told my doctors – all of them – I’m not done yet. Not by a long shot. My life revolves around those two week intervals I spoke of in my last entry. But with each successive session of chemo, it gets easier to handle, to get through, to feel closer to normal sooner. The first one was horrendous and I’m not going to share all the gory details, but the aweful feeling I had lasted for ten days. I had three & a half days of good then a new chemo round was done. I was then back to square one, however, the lousy days didn’t last ten this time but more like seven to eight. Things were changing. After the fourth round done just last week, I now have more good days than bad. Eating still causes pain, but that is getting lighter and easier to get past, even with something as simple as Tylenol. And I can eat most anything I want. Vegetables are a problem still, but a little bit, chopped, diced, minced, sliced or othrwise made much smaller or cooked to a softer state, are somewhat easier, but still not quite to the point that I’m ready to dive into a nice Asian Sesame chopped Salad. I wish, but no. Not yet. I’m able to work again and have made a couple of batches of soaps since the diagnosis, mainly just in the past month. But I’ve noticed that my technique has suffered a bit. The texturing on the top is not what it once was. Swirls are not always what I expected. Colours I imagine in my head prior to making the batch aren’t quite matching up to what my final results are once out of the mold and cut. I’ve lost that mojo I had though my heart is fully in it. I’m not sure when it will come back or how many batches it will take to see improvement, but right now, I’m not reaching my own standard. I think the grief over that is the biggest hurt I feel now but it isn’t going to stop me from continuing forward. Liquid soap, Body Wash, was done and it turned out to be one of the best batches I’ve made of my career so far. So, that elusive mojo is out there, just being a tease and flitting in and out again. Body Butter needs restocking, too, so I imagine that will be another success not requiriing swirls, fancy tops or colour saturation. Maybe that old mojo will come back with the body butter and stay for the rest. One can hope. I know I still do. There wa a day when I’d plan months in advance for things, knowing it would be possible to complete it, on time, in the right way, and all would go smoothly thereafter. Those days are gone. I now live my life in 2-week intervals. Chemo takes me out of commission for several days following an session and darined completely once I’ve gone past that phase. Chemo is done every two weeks so there are long, full days at a doctor’s office, then hours in an infusion chair, being pumped full of toxins to kill off the cancer but taking out good cells as well, like skin, hair, nails, lashes, eyebrows. It’s hard on the body, thus it follows that it’s hard on the mind as well. You can’t see the battle being waged against your enemy, just feel its effects and hope it’s doing an effective job and one day you’ll be free from the chair, the poisons, the pain, and breathe easier, if only for a few years. With luck it would be many years. My poor business has suffered greatly from this battle I’m fighting now because I have so little energy, I can’t get around to the things I need to do in a timely manner. Products not only needs to be made but packaged, shipped, photographed, listed as available or sold out, and described with enough finesse to make it something everyone feels they must try. It’s hard to get all that aligned when you don’t have the energy to get up off the sofa. Naps are all I crave in those days just after an infusion. Work still needs to continue though and I’m doing what I can when I can while I can. Even liquid soap! That was the one thing I needed most and though it takes about four solid days of didicated attention to get it just right, it’s now done and it’s exactly the way I wanted it to be, thick, abundantly lathering, fragrant with a favorite scent, soothing on dry, tortured skin. I took a portion for myself from the initial pour-off to scent and try out just this morning and have to say the addition of coco betaine has made a world of difference in the viscosity and lathering of the soap! It’s fantastic on the skin, too! I also included a bit of sea keep biioferment for a film-forming attribute. I’m completely thrilled with how it turned out and hope my customers will feel the same. After the smashing success of the body wash, it’s hard to figure out what should come next, but something certainly needs to come along to keep the business vital, invigorated, and relevant. Time to scour the stock on shelves and see what we need to place at the top of the To-Do List. Let’s just hope it isn’t another two weeks before I feel like making something else for restocking or new additions! When dealing with larger-than-life- issues like cancer or a physical disability from an amputation or loss of eyesight, the little things tend to fade into the background quickly. Little things like watching a favorite show, listening to calming music, crafting something that holds meaning to you, and the list goes on. Big things crowd out the little ones in disproportionate measure due to the sheer volume of the serious nature of our current health issues. It gets harder and harder to find that bliss, that zen. Doing quiet things, like this blog, is one way to take back the quiet times. Rediscover that serenity and all other things can be faced much easier and more effectively as well. I’ve been remiss in writing, I’ll admit to it. It’s something that fell far down the totem pole of priorities after health, taxes, home issues and more crowding them out, but that must change or the bigger things cannot be addressed without chaos. Mental chaos. Despite falling asleep during a simple blink on a regular basis because my pain meds knock me out, despite not being able to eat to regain all the weight I’ve lost thanks to this colon cancer that was recently found, despite all the treatments harsh side effects knocking me back on my heels, it’s time to return to a state of semi-normalcy and that’s what I intend to do. I might not be able to drive thanks to the drugs, but I can at least do small tasks towards the business that will give me peace in my head and my heart. The rest will follow. They always do. I’ve restarted working in the Bubble Hut again and it felt like going back to the home of a dear friend. One I cannot live without. One soap bar batch has been restocked, Green Tea-Nectarine, and now I’m working on the Body Creams, two fragrances at a time. Small things. Those beloved little things that mean so much because when viewed collectively, they become bigger than the heavier, darker, more serious big things, crowding them out rather than the other way around. That sets the world back to rights for me. I’ve noticed, with a lot of sadness, that my followers in Facebook are leaving. I’m not sure if it’s because I have not posted anything new or because I announced my illness but either way, it still hurts to lose fans and friends. I have every intention of continuing my business for as long as I draw breath and that should continue for a long time to come. Sadly the illness I have does not have a reputation for excellent survival rates but the odds are improving every day. I’m receiving the best of care from the best doctors in our nation and have faith in their skill to bring me through it. I plan to return to my crafting of bath & body goods once my body is mended sufficiently and the mind is clear of other distractions to create again with our Spring line of products along with restocks of Body Cream and Body Wash.
For those that have not left my page, thank you for your faith in me. For those that did not wait for my return, I’m so very sorry you’ve left us and you will be missed. I’ve been making soaps, lotions, body washes & butters a long time, more than 10 years and loved every minute of it. It’s always provided that zen moment in the day that so many crave but don’t often find on the job. Tranquility and work are, to many, exclusive of one another. That’s never been the case with me since going into business for myself full-time rather than as a sideline. The other job was draining in every possible way while my work here replenished that part of me that had been shredded during the course of a day. My job allowed that creative portion of my brain to thrive and that fed me like the richest of foods for mind, body, and spirit. Then something changed. In last summer and into early fall, I was not feeling my usual self. Off. Something was wrong but I couldn’t put my finger on it. I was tired all the time, easily exhausted, and wound up taking naps almost every day. My back was hurting a lot despite never having any problems with my back in any part of my life up to then. It was aching and deep. Muscle creams did not help for long. Heating pads helped somewhat but who can walk around with a heating pad strapped to their back and hope for a plug to be available everywhere they go? The back pain became excruciating over time though I’d still put it down to damage done from all the heavy lifting I had to do during the course of a day. I should have known better and seen someone sooner. Once I finally saw someone over this constant pain it had become serious and turns out it was cancer that had begun in my colon and spread to my liver. I’m now on a new journey, one of recovery and finding the strength to pay closer attention to what my body is telling me instead of ignoring it to get the daily grind behind me. On this journey, I will take with me gained knowledge and a thirst for more to discover what I can do to improve my approach to work, living well, and how to get over the need to do it all myself and let others help me more because I am NOT superhuman. I have stumbled, yes, but have not fallen. I have too much to reach for now to stop fighting and will continue to fight every step of the way until I reach the other side of this war. Every step will be an awareness of that one thing that has kept me going through the years. It is That One Thing that keeps me calm, gives me respite from a crazy world, smoothes my ruffled soul, soothes the pain that doesn’t want to end. I have my big, beautiful, loving family and my beloved work plus so much more to motivate me to always keep opening the curtains to each new day and drink it in. To start, I must warn you, this has been one of the most excruciatingly painful books I’ve ever read. The worst of it is it’s based on the real crimes of an actual person and their acts of heinous cruelty and neglect while running an orphanage filled with children she’d stolen from their families. The horrors they endured, some to their own deaths, were beyond description and will not go into them here. Suffice it to say, this woman, Georgia Tann, was a sadistic serial killer of children. Young children. Now imagine what the world is like through a child’s eyes. They and their four siblings living life on a shantyboat built by their father, sailing along through their lives, while their mother awaits the birth of a 6th sibling. Something goes terribly wrong one night and Father has to rush Mother to the hospital for care and she goes into early labor. The children are left on their family boat with the eldest, Rill, in charge. All goes quickly downhill when authorities, paid handsomely by the director of the Tennessee Children’s Home Society, swarm the riverside and tear the children away from all they’ve known and loved. They are taken, bewildered, bedraggled, terrified to the orphanage and subjected to torturous ritualistic scrubbings that do less to clean and more to harm but if they cry out, they’re locked in “The Closet”. Any infraction will do to send a child to The Closet, a small room, completely dark, locked from the outside, and the children are basically forgotten for days at a time. When they come out, they’re scarred emotionally, starved and close to death from thirst. Some actually do go into The Closet and never are seen again. There is a time split between Rill’s life as a child fighting to hold herself and her siblings together and the adult Rill, now May, in a senior living home. ‘May’ meets Avery and Trent who’ve come to visit seeking answers about a letter Trent has left to Avery’s grandmother who also is in a senior living home, suffering from dementia. He refuses to leave it with Avery, despite her POA documentation, due to the personal nature of its contents and a promise to leave it directly with Avery’s grandmother. What follows is an odyssey of anguish, enlightenment, shock, that leave both Avery & Trent reeling when they realize the reasons behind the letter. Fans of true crime will be stunned by this story that focuses with laser precision on the dark times of the 1930s when the country was going through a deep depression and families lived hardscrabble lives that were simple yet, the children knew nothing else and were happy despite it all. For fans of podcasts, you can find this story in the True Crime Brewery’s YouTube channel here. There are links in the description box on their channel for the iTunes Tiegrabber podcast. Lisa Wingate’s approach was through a child’s voice, their emotions and even language were peppered throughout to give the reader a depth of feeling and empathy for those littlest victims of an abusive monster hiding behind a facade of respectability. Ms Wingate’s words and flowing rendering of a mental painting hold you tightly with every turn of the page, leaving you with outrage for the wrongs perpetrated, the lost lives, and heartbroken for the parents who had no idea surrender papers had been forged with their names. They were left lost, not knowing what happened to their babies. This story will keep you there in the 1930s as well as travel forward to the newest generation that’s only now discovering how that one hellish place impacted their lives forever. Get the book from Barnes & Noble or Amazon. Over the many years I’ve been in business my brand has morphed from cozy and quaint to cool, sleek minimalist to elegant. Today, it’s now a modern clean look with a twist. It’s also colorful, bright and eye-catching. That’s all about our growth of a business and of style, which is the natural order of things. How many of us in business as entrepreneurs would design our brand, logo and all and keep it looking exactly the same every year for decades? No one, really. We all change, our preferences and likes change. Even our favorite foods change! One thing that has not changed that I’ve always been focused on consistently was environmentally sound packaging. I don’t use shrink bands because they’re plastic. Yes, they’re thin, but they are still a plastic. Labeling needs to be done with recycled materials. 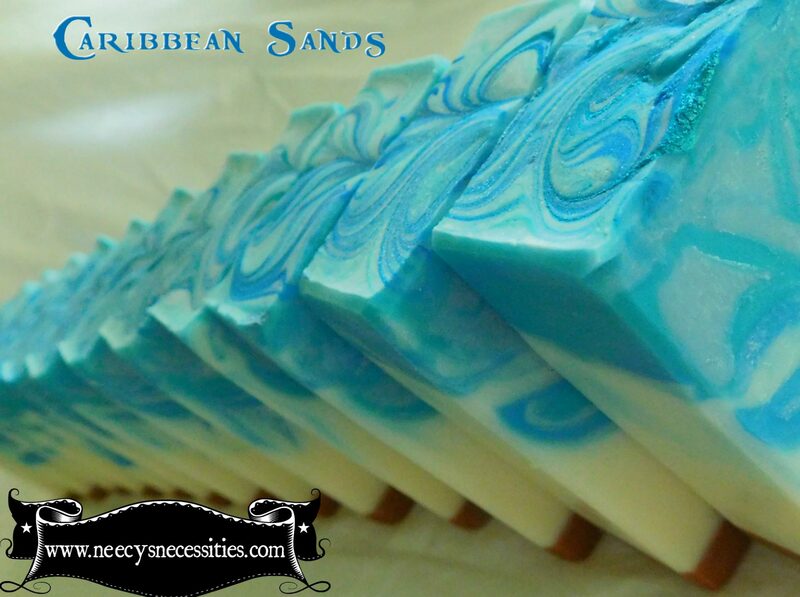 Soaps are boxed in paper – card stock. Not plastic. Body creams & butters are packaged in post-consumer resin tubs and they are black, so they look even more stylish while still being environmentally friendly. My products are made with certified organic oils, which do cost a lot more than regular oils, but it matters to me to bring safer products to my customers than to clear a fatter bottom line. I do still occasionally use palm oil, despite the stories that ripple through the internet about its harm to the forests and animals that live within it. The difference is, mine is certified organic as well as sustainably harvested. Again, higher in cost, but ethically a better choice. It matters. Maybe no one will ever know that, but now at least you do. Because your opinion matters. You know what’s out there but do you know truly what it’s made of? When you do, what choice will you make – the less expensive one, buy a detergent to use on your skin and strip it bare of those precious skin oils only to run to the lotion bottle to put them back? And for that matter what’s in that lotion bottle by your bedside? How many syllables are in the ingredients on that label? Does it look more like a chemistry experiment than a body cream? Handcrafted soaps maintain that delicate balance of natural oils on your skin protecting it from bacteria, the drying effects from wind & sun and our lotions are also made from butters & oils for that exact same reason. My brand has changed, it’s true, over the years, but only for the better for you, the oceans, the forests, the plants, the animals that are never used for testing, and better for me as well because I know I’ve done my due diligence, tested safely & ethically, offered the best product I know to create to my customers because they matter most of all.